Tizimín, a city full of surprises that will delight you with its history, its friendly and respectful people, its gastronomy full of rich aromas, exquisite colors and delicious flavors in which you can taste the legacy of the ancient Mayan Culture. Its traditional festivities, its mystic cenotes, its lagoon, its beautiful Puerto El Cuyo beach and its Kulubá archaeological zone are added. 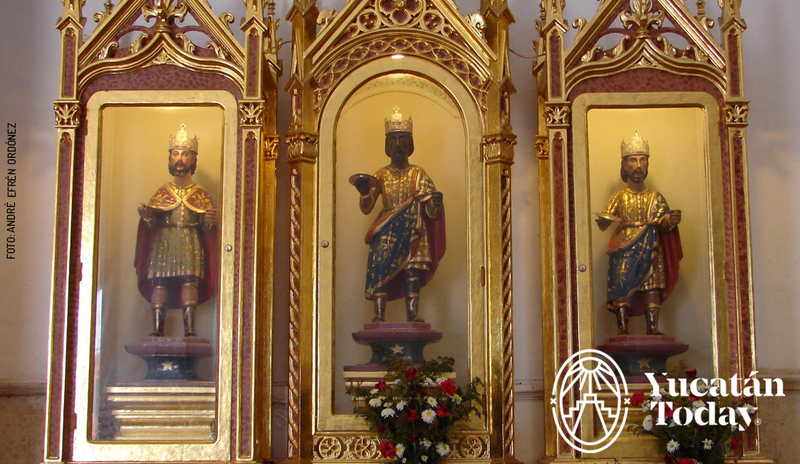 The images of the Three Saints Kings, patrons of the city, were found in the chapel of the Ex-Convent (16th century to the 18th century), when the Temple was built in 1745 and dedicated to them in 1760. With the passage of time, It became the second sanctuary of the Three Holy Kings worldwide, being the first and largest sanctuary that is located in Cologne, Germany. Every 6th of January the city dresses up as a party and the sanctuary of the Three Saints Kings prepares to receive thousands of tourists and parishioners who come to pay homage to the images of Gaspar, Melchor and Baltazar who on December 28 are taken down from your niches to start your festivities. The moment in which the faith is mixed with the traditions and propitiates the beginning of the Religious, Livestock, Agricultural and Industrial Fair: Tizimín Fair. The cattle fair of Tizimín is a tradition with more than 60 years that has its origins in about 1750, as an ancient annual celebration that was held to commemorate the Epiphany of the Lord (the day in which the Three Kings visited the child God). This celebration was attended by people from all nearby places and there are writings of the nineteenth century in which the festival of Tizimín is mentioned as one of the oldest in this region. From celebration it becomes a celebration of all the nearby towns dedicated to the Three Kings, and since 1956 the Livestock Unions are annexed and the religious, livestock, agricultural and industrial fair is created. Among its attractions are the traditional treat held on the 1st Sunday of November which consists of visiting all the deputies of the fair in their homes. The Tizimín Fair begins on December 28 with the download of the images of the Three Kings and so the first guild that enters the same day and leaves on the 29, and from this moment the Tizimín Fair has begun! 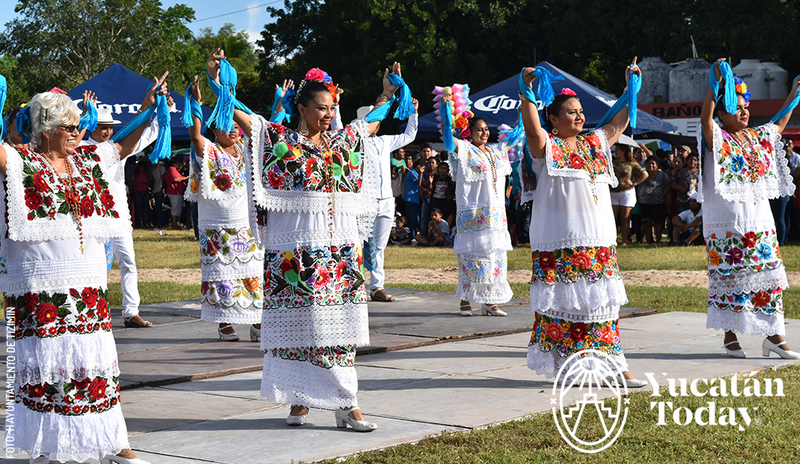 The first Vaquería is held on December 30 in front of the Municipal Palace, where we visit and participate various groups jaraneros neighboring municipalities of the State of Yucatan. At 3 am authorities and the general public carry a ceiba tree and accompanied by the charanga and the flyers walk to the ring, and entering the plaza crowns; Next, the ceiba tree is planted in the center of the bullfighting ring. On January 5, the Vaquería de La Venta de Vaqueras takes place, which begins with the sounds of the orchestras from the jungle; This group also attend jaraneros from different municipalities of the State of Yucatan. On January 6th at 8 o’clock in the evening there is a procession headed by the images of the Three Saints and their custodians around the park. All visitors delight in pyrotechnic, flying games, cantoya balloons and firecrackers that mix the smell of gunpowder with incense and the hundreds of candles that are consumed three by three in the hands of pilgrims. This procession is usually for pilgrims, since a similar process is performed on January 8, the day in which the images are returned to their corresponding niches. When you visit Tizimín you can not miss its wide gastronomy that goes from salbutes and panuchos to delicious stews like ram in barbecue, birria and the traditional Carnero Asado. Sunday December 30, 9 pm: Traditional and Magna Vaquería Coronation Queen Queen. Daniela Beatriz de Río Gutiérrez, with the participation of the Viña Soberanis Jaranaras Orchestra, Victoria Orchestra and Gameba Orchestra at the Municipal Palace. Wednesday, January 2, 8:00 pm: Official opening of the Livestock Fair Expo in Tizimín: by the governor of the state Lic. Mauricio Vila Dosal, Municipal President ing. Mario González González and Regidores. Saturday January 5, 11 pm: Matute in Concert, Sports Unit Víctor Cervera Pacheco. 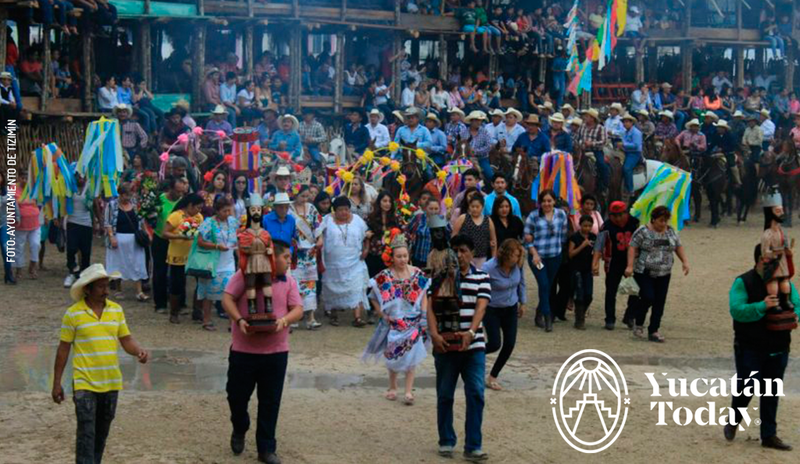 The traditional Vaquería Venta Vaqueras, 10:00 pm: In front of the municipal palace with the participation of the Sonora Orchestra and the Tzimin Kah Orchestra. There will be many other activities such as: Cattle and Sheep Cattle Qualification, Popular dances, horseback riding, charreria, championship of dancing horses, barrels race, Biker shot, horse race and children’s show.